Basketball Spotlight took the trip to Cleveland, Ohio for the NEO National Showcase. 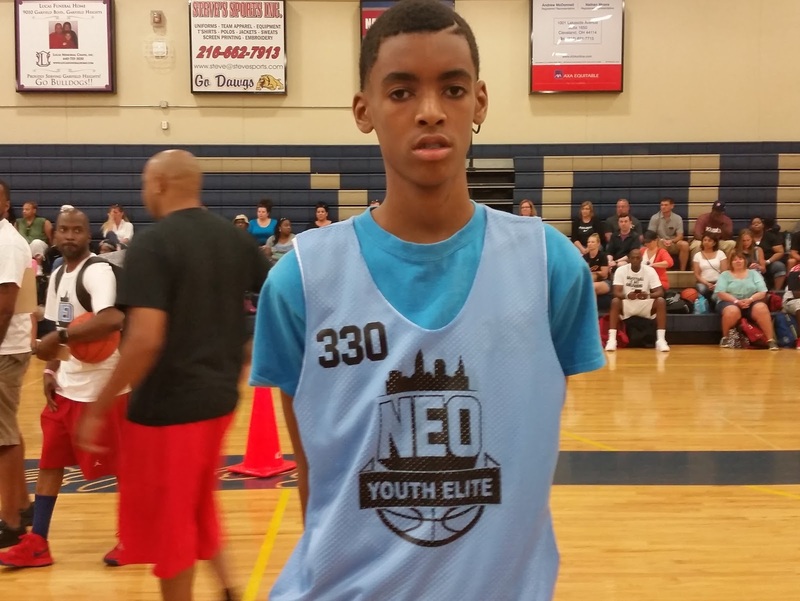 The Class Of 2021 was the deepest in terms of talent. Here’s Part 2 of our top performers from this grade level. Caleb Furst (Forward)- Furst has grown a few inches since the Basketball Spotlight Future Phenom Camp. He also added some speed and versatility to his game. He was too quick for the other post players and too big for guards that tried to guard him. I also like how he extended his game to the perimeter but hitting shots and putting it on the deck. If he continues to grow and develop he could become a big time recruit. 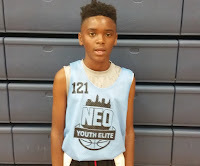 He earned a spot in the Middle School All American Game and Basketball Spotlight Future Phenom Camp. Ryan Conway (Guard)- Conway is one of the best scorers in the country and he showed it again in Ohio. 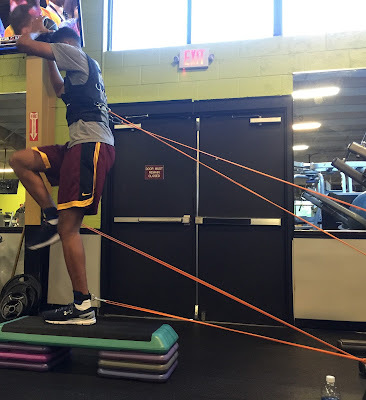 He has added more wiggle off the bounce which set up for him to use his quick release to get buckets. He can shot off the dribble or when receiving the rock from a teammate. Lastly he has the strength to score in traffic and through contact. He will be in Washington, DC for the Middle School All American Game and Spotlight Future Phenom Camp. Jalen Blackmon (Guard)- Yes, there’s another Blackmon on the way. I wish I had this kid’s picture because he ripped the camp up. He’s a smooth operator when unlimited range and a unique feel for the game. He can create space when he has the rock and sees the floor which means he can transition to point guard. He showed supreme confidence and willingness to take the big shot. He also will be at the Middle School All American Game and Spotlight Future Phenom Camp. 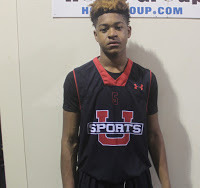 Dylan Ingram (Guard)- Ingram is a versatile with a huge upside. He has good footwork and touch even facing the basket. He’s nowhere near done growing which opens up his ceiling. I think he’s a kid that we will hear a lot from down the road. Remember this name and where you heard it first. 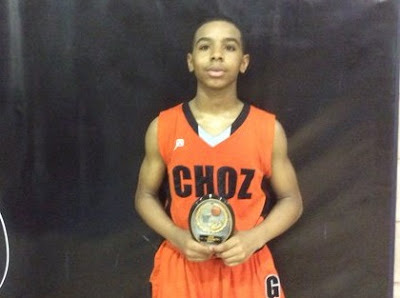 Jalen Dial (Guard)-Dial is mature strong guard that explodes to the rim when finishing. I like his size which allows to use a step back move to get his shot off. His stroke is good and he handles the ball well in the open floor. He has a chance to be a good prospect down the road. Jackie Johnson (Guard)- The southpaw has a strong frame and handles the ball well at the point position. One of his main strengths is his ability to shoot the rock off the bounce or while setting up. I like his fundamentals and the pace he plays at. He picks his spots well. Michael Lucarotti (Guard)- One of the most versatile players at this event in this class. Michael has good height on his jump shot and can also post up smaller players. He’s capable of getting a good luck whenever he wants and pushing the rock coast to coast. CLICK HERE IF YOU ARE READY FOR BIG TIME! 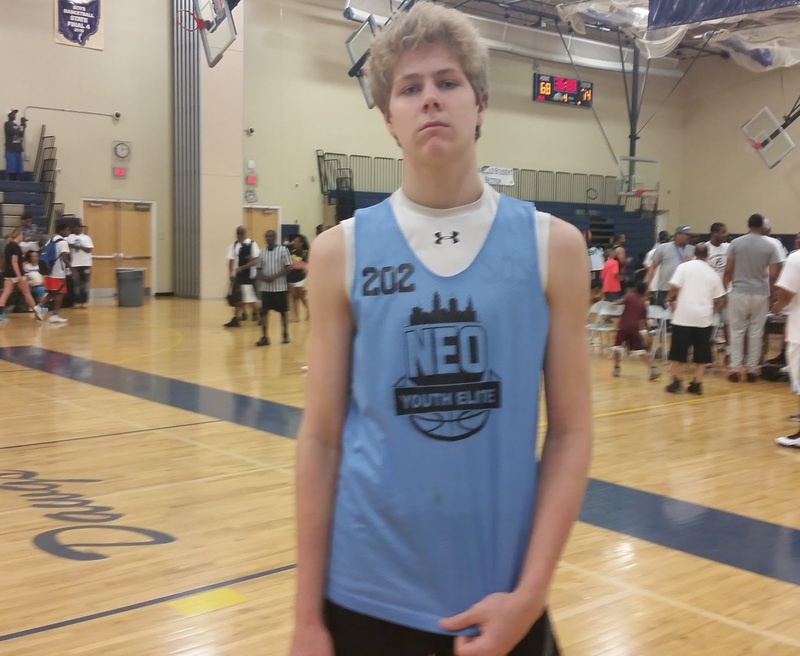 Basketball Spotlight took the trip to Cleveland, Ohio for the NEO National Showcase. 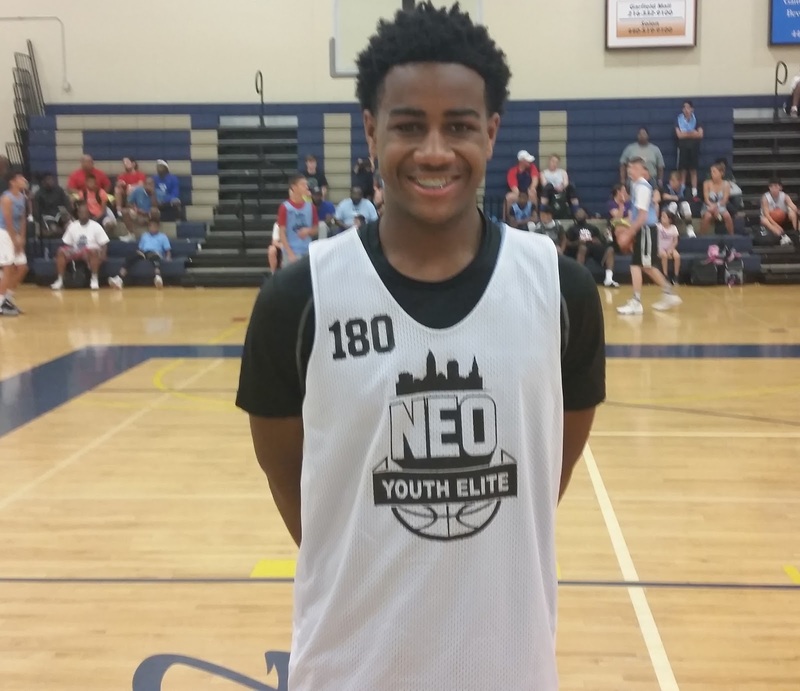 The Class Of 2021 was the deepest in terms of talent. Here’s Part 1 of our top performers from this grade level. Meechie Johnson (Guard)- Johnson was playing on his home turf and used this environment to his advantage. He’s added some height and strength since the Basketball Spotlight Future Phenom Camp. Johnson added gifts made him more explosive and helped him absorb contact before finishing. He shows some point guard instincts he still loves to the score the rock. He can pull up from deep off the bounce while also dropping buckets from the other two levels. Johnson loves the stage and seems to perform better when the lights are bright. He will be attended both the Middle School All American Game and Basketball Spotlight Future Phenom Camp. Carter Whitt (Guard)- Whitt name has been ringing national bells recently and I can see why. I have a smooth handle and a mean ratchet. His poise and calmness with the rock can lure a defender asleep before he wakes you with a long range bomb. He showed us top notch court vision and sometimes appeared to be a little too unselfish. Once he gets into a flow he’s hard to contain. 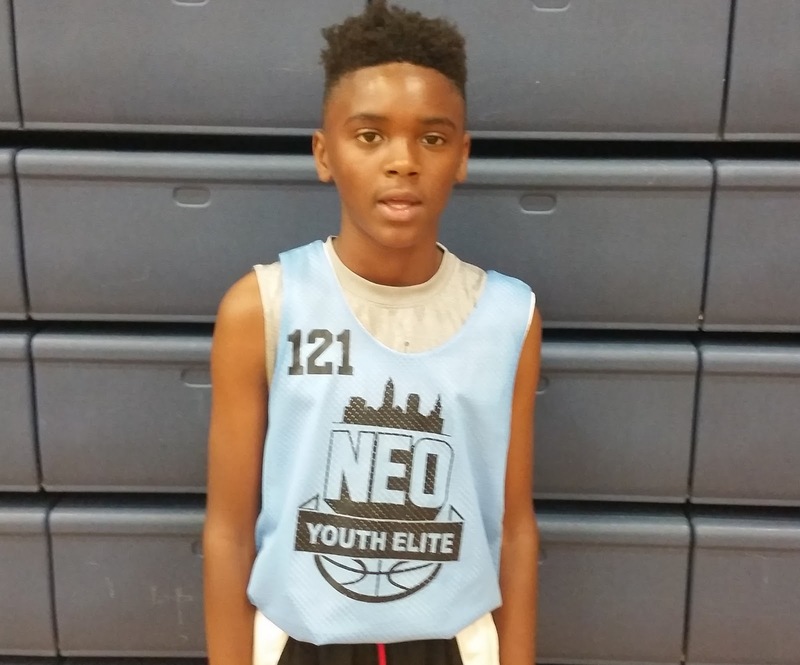 He earned an invite to the Middle School All American Game and Basketball Spotlight Future Phenom Camp. 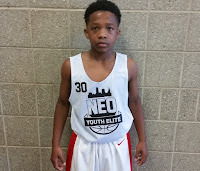 Noah Peoples (Forward)- The strong forward was a workhorse in the lane while finishing around the cup. The southpaw is little undersized to play with his back to the basket but uses a high energy work ethic to get things done. I do see a light at the end of the tunnel as Peoples does pat the rock and shoot the jumper. We will keep an eye on how he develops. 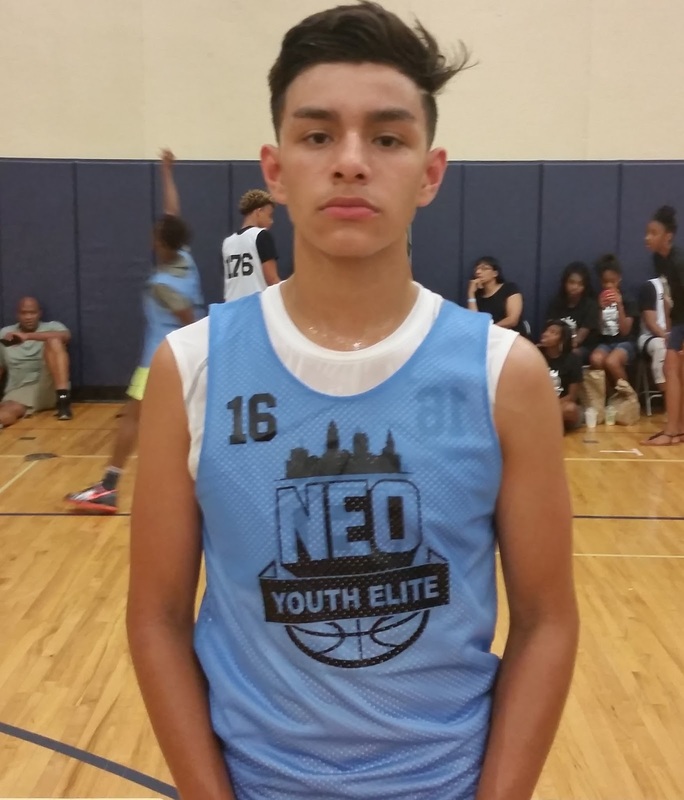 Juan Reyna (Guard)- Reyna was a fresh face on the scene and used this stage to make his name known. The lefty was deadly from all three levels and attacked the rim with confidence. He shook defenders off the bounce and used fundamentals to finish off plays. Once he got his confidence going he just continued to cook opponents. He’s another big time event away from becoming a national name. 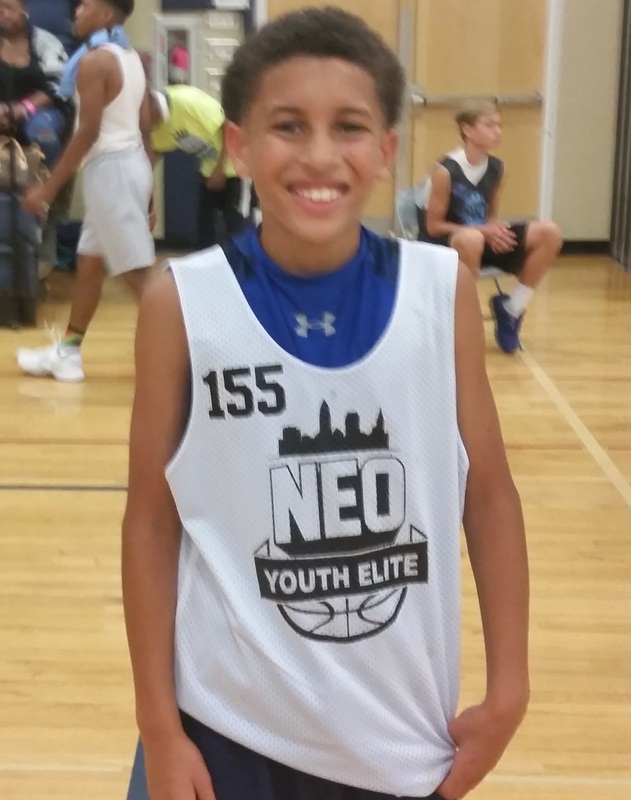 He earned an invite to the Basketball Spotlight Future Phenom Camp and a Middle School All American Game nomination. 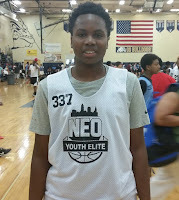 Mehki Starks (Forward)- The straight lined forward is a high riser and excels in transitions. He’s a speed demon in the open floor and does pretty well as a slasher to the cup. One thing is certain is that he will play both ends of the floor like it’s his last game and he is relentless when trying to finish at the rim. Colin Albert (Guard)- Albert was another pleasant surprise. As the under controlled guard used a crafty handle to create space for his shot. He also showed some floor general skills by setting up teammates while using a killer crossover to gain access to the lane. He has a quiet demeanor but has a star quality about him don’t be surprised when he blows up. 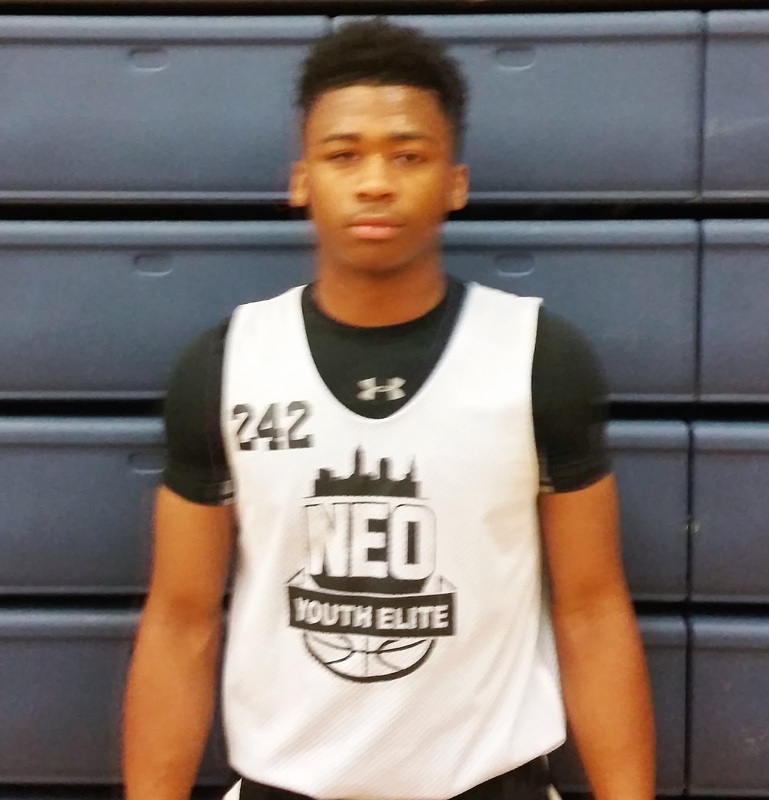 Makail Cottingham (Guard)- The wing guard is extremely athletic and does possess a huge upside. He fills the lane in transition while scoring easy. He has a wiry frame that has a lot of room to expand. He’s nowhere near a finished product and we haven’t heard the end of this kid. Stay tuned. 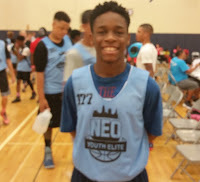 Rodriquez Gayle (Guard)- Gayle is another player that has a huge upside. He can play either guard position effectively while creating space off the dribble. I like how he sees the floor and will be able to complete more plays once he gets stronger. He’s definitely one to keep on our radar. CLICK HERE IF YOU CAN HANDLE THE BIG STAGE! 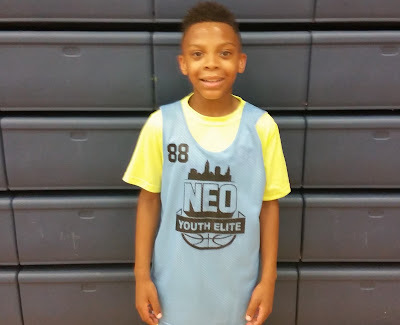 Basketball Spotlight traveled to Cleveland, Ohio for the NEO Youth Elite National Showcase. The talent was thick as we got a chance to see some stars of the future. 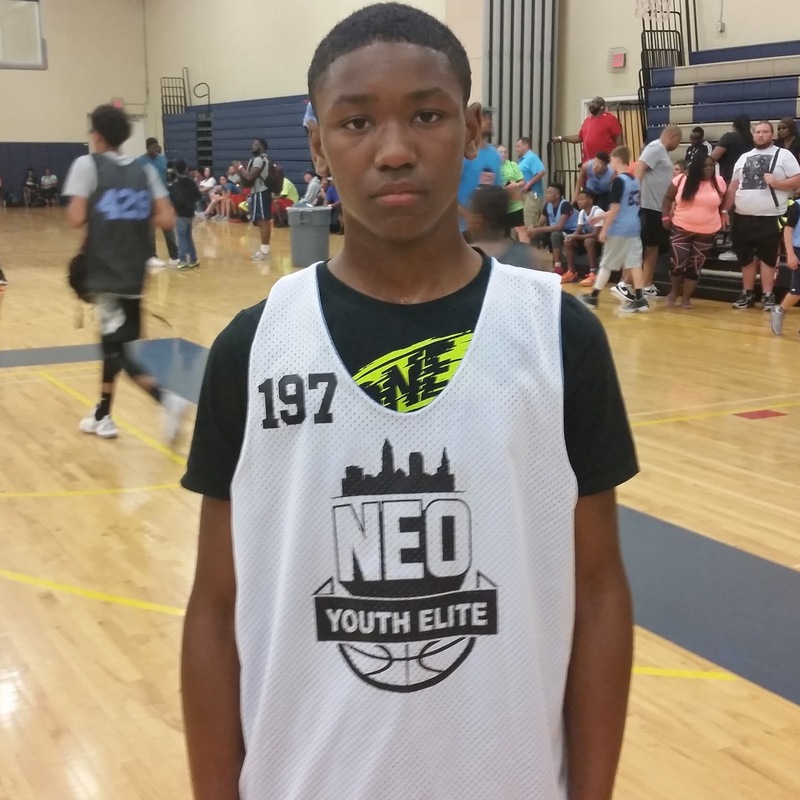 Here’s Part 2 of our top performers for the rising 7th Grade Class. Robert Martin (Guard)- Martin dazzled the crowd all weekend with his slick handle and play making prowess. He used explosive moves to get rid of defenders which allowed him to pull up for jumpers or finished at the tin. In the open floor his court vision stood out and he also was a hawk on defense. 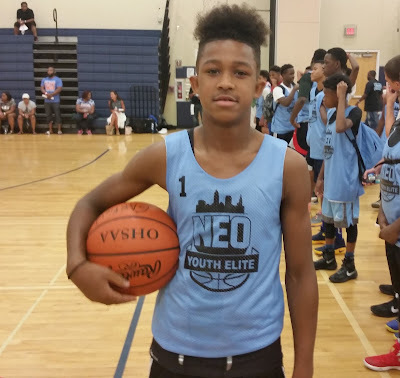 He made a name at the Future Phenom Camp last summer and now he has stepped into being recognized as a national caliber guard. He earned a Middle School All American nomination. Jalen Hood-Schifino (Guard)- Hood-Schifino is a big guard on this level. He can score with ease at times on this level but takes the time to survey the floor and deliver nice passes. His mindset seems to be to become a pass first point guard which means a lot because you never know where he will end up in terms of size. He’s an impact player and showed it in Cleveland. Paul McMillan (Guard)- McMillan already has a national rep and didn’t do anything to hurt his status. When he has the rock he dictates the pace of the game by scoring or setting up teammates. He has a natural feel for the game and a strong frame that withstands contact when driving in traffic. He was one of the best I saw at this event. Joe Wolf (Forward)- The big space eater isn’t very athletic yet but he does carves out space to get rebounds. He has decent touch in close but is still developing in the footwork department. This kid really played hard and left it all on the floor. 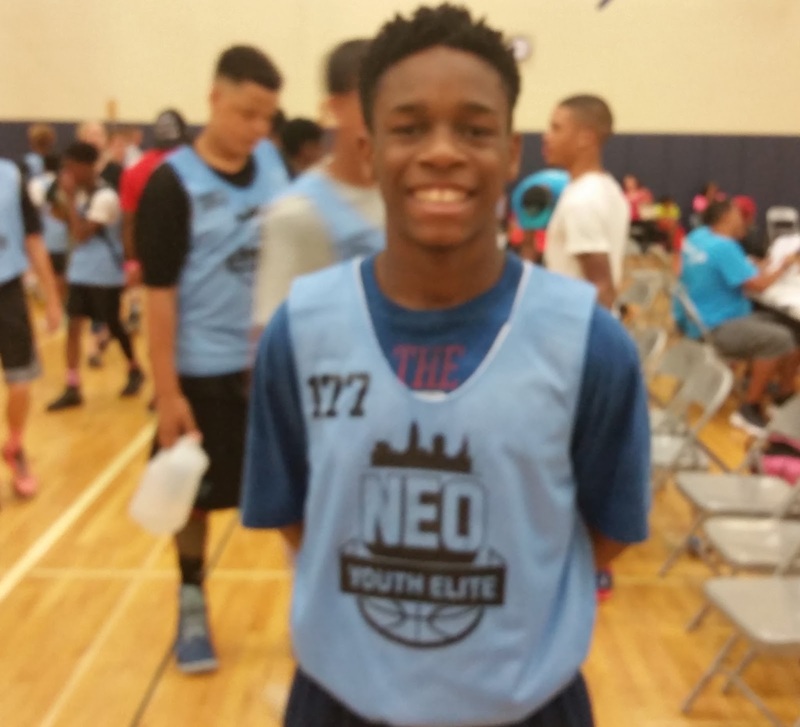 Everton Brown (Guard)- Brown has reclassified and proved it was a good move in Cleveland. He has point guard capabilities but was more of a scorer this weekend. He's very aggressive when attacking the basket and looked good in transition. He will be one to watch on the scene. Roderick Coffee (Guard)- Coffee was another guard with size. He handles the rock and surveys like a point but can also shoot at the drop of a dime. This made him a constant match up problem throughout the weekend. I see a bright future for this kid. He reminds me of a young Andre Miller type. KJ Robinson (Guard)- In my eyes this kid should have made the top 20 game. I was amazed at his skill level and heart to drive the lane. He could hit the outside shot and get pass defenders. I still wondering how he made it happen with his dreadlocks covering his face. I was very impressed with his play. Tavian Tatum (Forward)- Tatum didn’t care about scoring. Instead he did all the dirty work like rebounding, playing defense and running the floor. He was capable of finishing in transition. I like his motor and the energy he brought to the floor. Dominic Schmidt (Guard)- The crafty point guard has a high IQ and is a lot quick then he appears. He uses a quick crossover to get through the defense but dropping dimes or uses a floater to score. He showed good poise when he was pressured. IF YOU THINK YOU CAN BALL CLICK HERE! Basketball Spotlight spent this weekend in Cleveland, Ohio for the Neo Youth Elite National Showcase. One of the segments of this event was the dunk contest and Jordan Toles hit an eastbay to win the 2016 NEO Youth Elite Dunk Contest. The Class of 2020 prospect from the DMV is one of top players in the country and showed his freakish athleticism to defeat two other middle schoolers in an epic dunk contest. Stay tuned as we bring you more coverage from this event. CLICK HERE IF YOU GOT GAME! Basketball Spotlight Heads To Cleveland For NEO Elite Camp! June 25th and 26th Basketball Spotlight will be heading to Cleveland, Ohio for the NEO Youth Elite Basketball Camp. This camp will feature some of the top players in the country and we will be there to provide coverage. 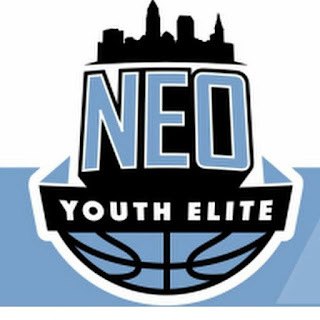 We are excited because this is a first trip to Cleveland and NEO Elite Camp. Stay tuned as we bring coverage from this event. On June 25th the John Lucas Future Of The Game Camp will take place in Hampton, Virginia. Some of the top players in the country will be at this event. The information is below. My apologies for not getting an entry in last week, but I needed the time to study for all of my finals. Without further delay, I'm signing back in for this week's Basketball Diary entry. 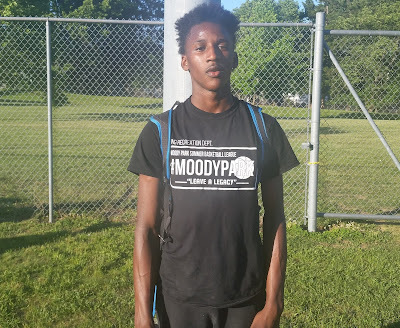 Basketball Spotlight took a trip to Moody Park in Ewing NJ to check out their summer league. This league features the top middle school players in the Mercer, Burlington and Bucks Counties areas. Here are the top performers we saw at Moody Park. Basketball Spotlight Future Phenom Registration Ready To Go! The Basketball Spotlight 6th Grade Division was action packed all the way to the finals. 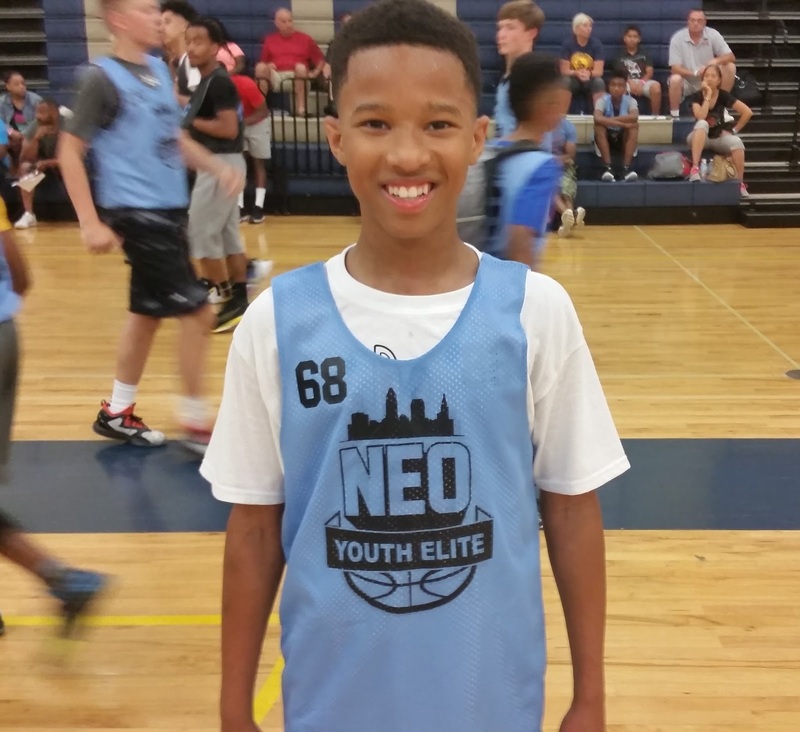 Here’s Part 2 of our top performers from this grade level. Hakim Henry Guard (Team Delaware)- There is always a player that is overly impressive during their Spotlight debut and Henry was that kid at the MDC. This kid had the smoothest handle in the building and seemed impossible to press. He dribbled through defense and dropped dimes to cutting teammates. He anticipates the game on another level and plays with extreme poise. He made it his business to make his name known. Great job kid! Zion Cruz Guard (Hilltoppers Heat)- Cruz showed up with his new squad and still put in his usual work. Cruz grew a few inches and uses his added size to hit the midrange pull up and finish at the rim. He also he displaying improved point guard skills in terms of setting up teammates. He has the skills and passion therefore if he continues to grow he could be an emerging prospect in years to come. Brandon McCreesh Forward (Riverside Hawks)- The versatile forward found his range from the perimeter against stubborn Wall 2 Wall. He was able to drain four triples and help his team advance to the semifinals. I like his stroke and confidence on the perimeter. Isa Khalid Forward (Riverside Hawks)- The hard working forward made his presence felt in the scoring column. He did damage inside and showed some range beyond the arc. He did most his work the first two games; he had 15 points versus the Stingrays and 17 markers in their Wall 2 Wall victory. MJ Carothers Guard (Riverside Hawks)- Carothers can run the show but he can also shoot the pill. He heated against Wall 2 Wall (four treys) and Team Final (four treys). His ability to stretch the defense was huge in Riverside’s success. Supreme Niles Guard (Riverside Hawks)- Niles is another pesky guard for the Hawks. He played both ends of the floor well and isn’t afraid to push the rock into the teeth of the defense. He also got into the scoring column averaging close to 10 points a contest. Nick Padilla Guard (Riverside Hawks)- The two guard came up big against Team Final as he nailed four treys while scoring 18 points. When his stroke is own it makes the Hawks a more dangerous team. He can really fill it up. Nikkos Kovanes Forward (Team Loaded)- Kovanes plays the 1 thru 5 and known around the country as a top scorer. During the MDC he bullied his way through defenders and finished at the cup. He was also relentless on the glass. He refuses to be outworked on the floor. Quanye Veney Guard (Team Loaded)- Veney was one of the smoothest point guards I saw in this glass. He runs the team with good poise and has a good midrange game to go with it. I definitely see him becoming a household name in a few years. The Basketball Spotlight MDC 7th Grade Division had some serious talent. Here’s a look at our top performers. Quron Zene Jr. 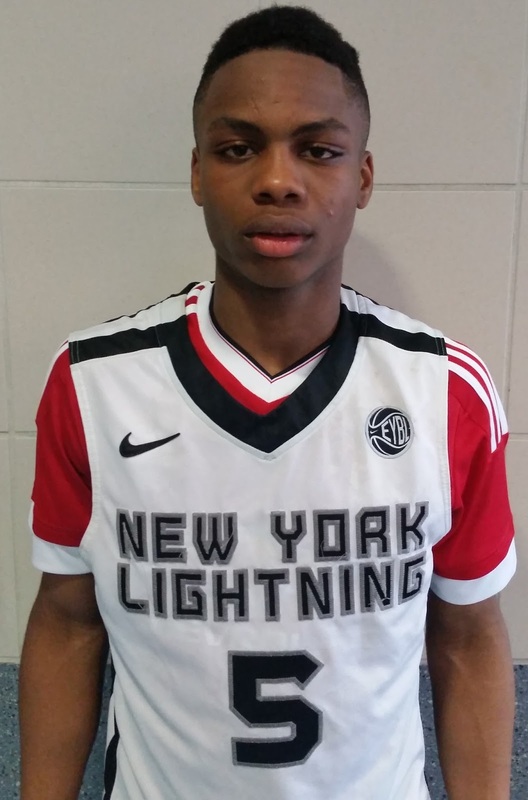 Forward (NY Lightning)- I first noticed Zene during the semifinals where he was unstoppable against the NY Rens. Once he gets deep post position he uses explosive moves and a high motor to get the job done. He scores the rock with a high percentage and I should be a name to know for years to come. Alakiem Melvin Guard (NY Lightning)- While Zen provided the inside punch, Melvin did the work on the perimeter. The combo guard who will eventually transition to the point scored the rock from all three levels. I like his game off the bounce and the way he creates. In the championship he finished with 19 points in the victory. Tymell Stevenson Forward (Brooklyn Rens)- Stevenson was one of the best looking prospects in this grade level. He has the size, long arms and athleticism to get the job done. On defense he hit the glass hard and either blocks or tries to alter shots in his area. He averaged nearly 16 points per game. Shaun Fulcher Guard (Brooklyn Rens)- Fulcher picked up the scoring also for Brooklyn Rens. He showed he could stroke the ball from the perimeter including 3 treys against Jersey Force. His biggest game came in the semi-finals when he scored 20 points and nailed 4 treys against NY Dragons. He’s a great compliment for Tymell Stevenson they bring a good one-two punch. 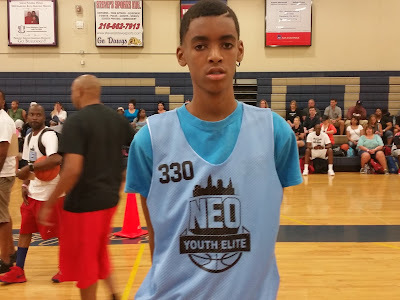 Sterling Jones Guard (NY Rens)- Jones brought his game during the MDC especially he pool play. He went for 16 points against WE R 1 and then dropped another 21 markers versus MBK Knights. Once he gets hot he showed he could take over the game. He has put together quite a season. 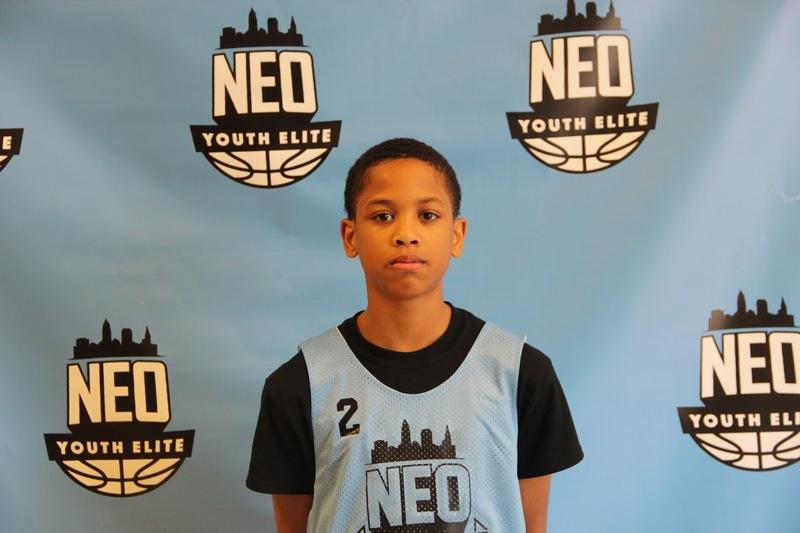 TJ Morris Guard (NY Rens)- It’s TJ’s all-around game that makes you love him. He can score, find teammates and rebound with the best of them. He also has good size and athleticism to match. I’m anxious to see how he develops the next few years. Marcus Dyes Forward (NY Dragons)- Dyes once again carried the scoring load for the Dragons. He’s truly a matchup problem and a major reason for the NY Dragons recent success. He averaged double figures including a team high 20 points versus the NY Rens. 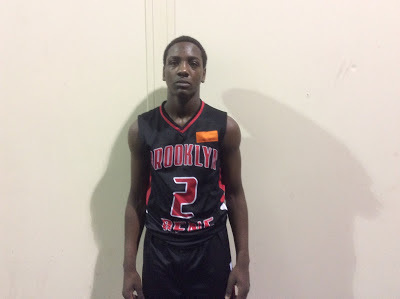 Noral Brown Guard (NY Dragons)- Brown came alive in their semi-final showdown with Brooklyn Rens. The strong guard went for 19 points in the loss while showing his physical game. He’s hard to contain inside the lane and in transition. 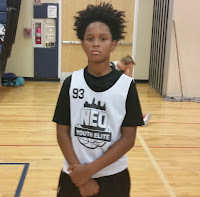 Jayden Pierre Guard (NY Dragons)- Pierre has settled in and looks comfortable running the show for this team. I like how he sets the pace while also driving, drawing and dishing. He was much needed added piece to this squad. 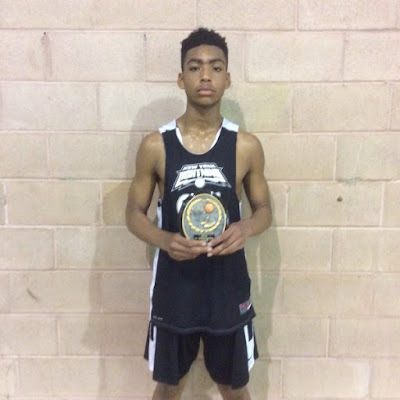 Sam Fagan Guard (Jersey Force)- Fagan caught fire in their game against the Brooklyn Rens. The crafty guard nailed 6 treys on his way to 24 points. He has to be one of the shooters in the region. 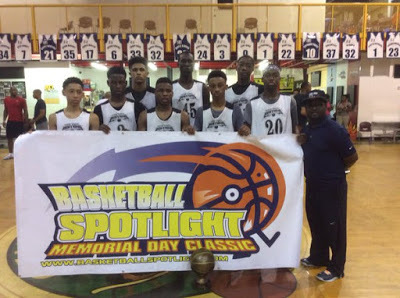 The Basketball Spotlight MDC 8th Grade Division brought in some of the best talent in the region. Here’s our final look at the top performers in this division. Kareem May Guard (Brooklyn Rens)- In their quarterfinal loss to Team Final May showed why he was one of the best point guards in the country. He need only dribble through traps while attacking the rim he also finished the contest with 28 points. The kid has the natural instinct that you can’t teach. His court vision and ball handling will translate great to the next level. 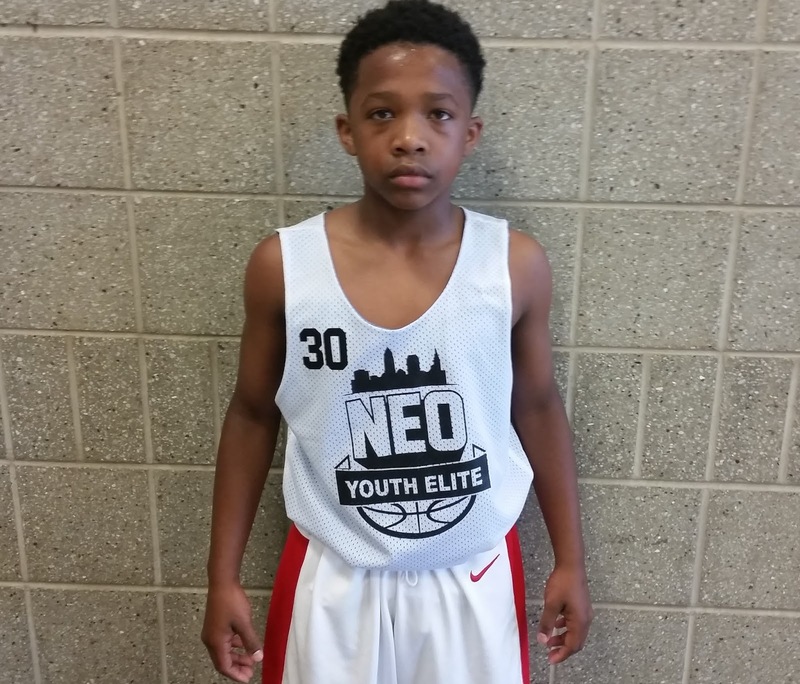 Will Amica Guard (Gym Ratz)- The crafty guard was able to do his thing this past weekend. He showed up big in their pool play battle versus NJ Shore Shots by getting in the lane, pushing the rock in transition and knocking down the trey ball. He had a team high 20 points in the contest including two treys in the victory. Charlie Gordiner Forward (NJ Shore Shots)- His team didn’t fare well over the weekend but Gordiner’s stock continues to rise. The forward once again showed he could score from all three levels and was a tough matchup for anyone that tried to guard him. The pure shooter heated up from the perimeter against the NJ Soldiers by nailing 3 treys while tallying 20 points in the victory. 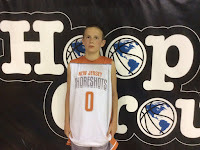 RJ Weiss Guard (NJ Shore Shots)- Weiss also had a good weekend in his home gym. He was accurate from 3 point land and also showed he could make plays within the offense. 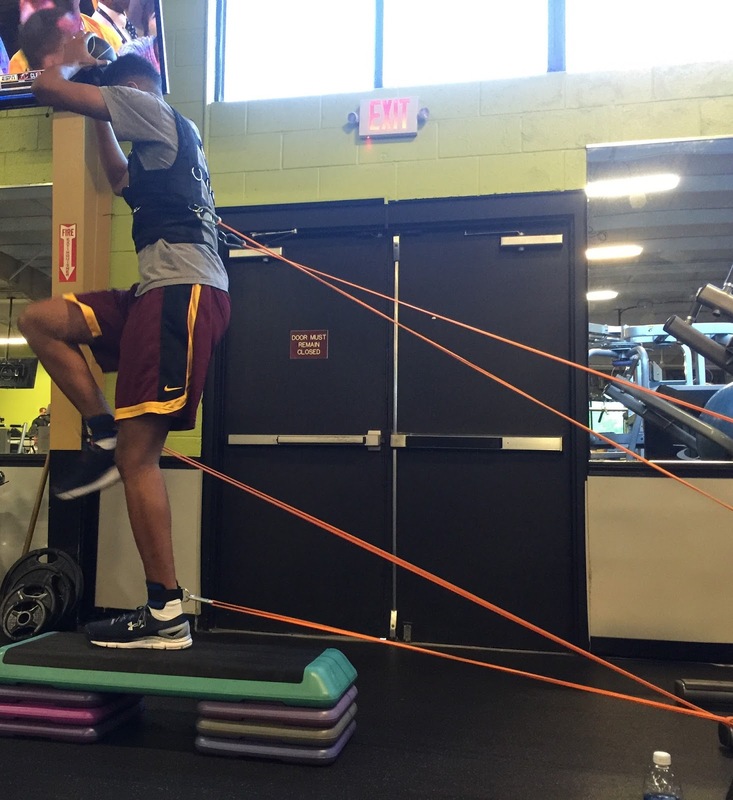 He is a true veteran of the Spotlight circuit and will enter the high school level with tons of experience. Zack Brown Forward (Gym Ratz)- The combo forward is making the transition to the wing and he showed this ability at the MDC. He scored in the lane and also ventured out past the 3 point line. If Brown keeps working he could turn into a legit three man very soon. Kam Jones Guard (Gym Ratz)- Jones was the third player that stepped up in the absence of Travis Gray (ankle injury). The super athletic guard excels in the open floor and finishes with the best of them. He has a scoring mentality and showed it by tallying 16 markers in the win. 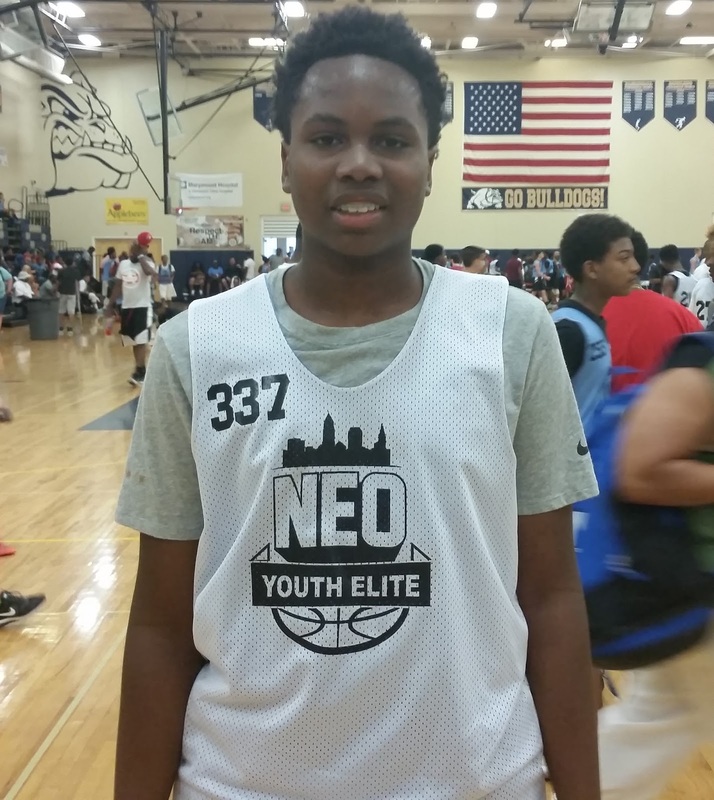 The 8th Grade Division of the Memorial Day Classic had some of the top talent in the region. Here’s part 2 of our report from Neptune. 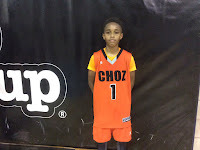 Trey Patterson Forward (Team IZOD)- The stage was lit in the 8th Grade division and Patterson once again showed why he is regarded as the top prospect in America. One his best outings was against Team Final (Blue) where the 6’7 wing dropped 24 points including 4 treys in the victory. He also had a couple of thunderous dunks especially when he drove the lane in the semifinals against NY Lightning and finished hard in traffic. His game is definitely turning the corner. 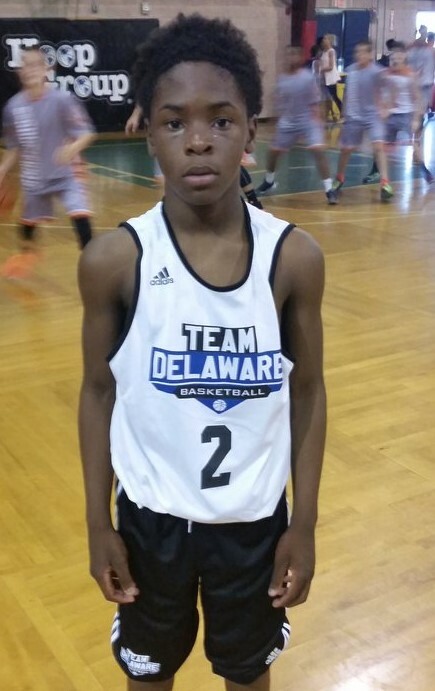 Shane Dezonie Guard (Team IZOD)- The physical play on the 8th Grade level was right up Shane’s alley. He isn’t afraid to drive the lane absorb contact and still finish. His strength and ball handling allows him to get anywhere on the floor. Once he gets into transition he’s even more difficult to stop. 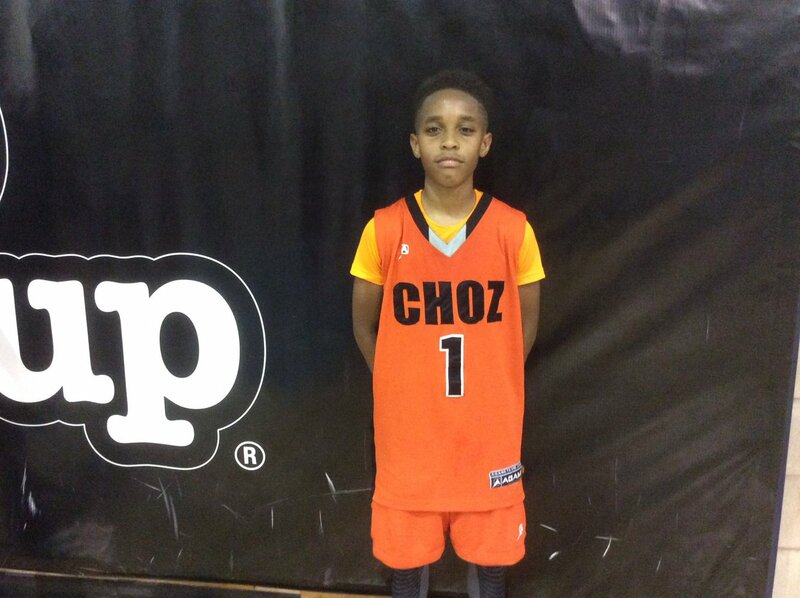 Jayden Brown Guard (Team IZOD)- Brown showed tremendous poise in these heated games. He made the proper decisions and also nailed some tough shots when the rock rotated his way. He was very efficient from 3 point land and always seem to nail a trey to stop the opponents run or give his squad momentum. He showed great toughness. Denver Anglin Guard (Team IZOD)- Anglin stepped up big for Team IZOD on the both ends. He plays good defense but really showed his worth by stretching the defense from the perimeter. In one contest he nailed 5 treys while connecting on a total pf 10 over the weekend. I like how handled himself. 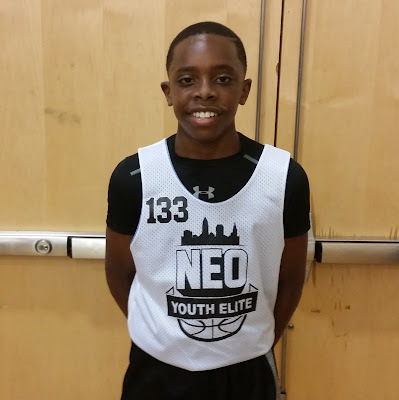 Ny’Mire Little Guard (Team Final-Black)- Little has been on the Spotlight scene and now shines with Team Final. He’s still one of the best playmakers and also can score the pill. He has the size and ability to be a big time player down the road. 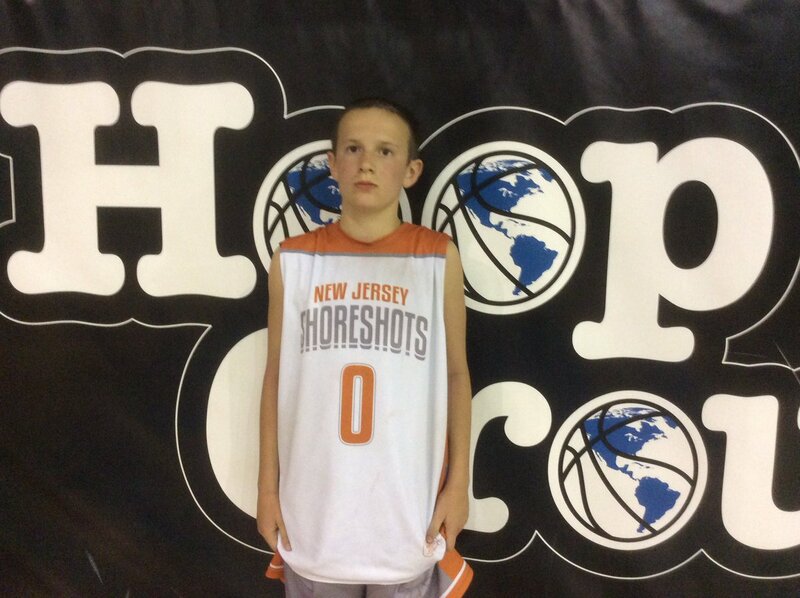 His best outing was a 16 point performance against the NJ Shore Shots. Devon Jones Forward (Team Final-Black)- Jones is a Charles Barkley type with quick feet and good touch. He can hit the pull up off the dribble or take it all the way to the tin. He had good games against NJ Shore Shots and CBC. I like the energy he brings. Adrian Irvin Guard (Team Final-Black)- Irvin has a ratchet and he showed it during the quarterfinals against CBC. He nailed 4 treys in their victory and looked good doing it. I can’t wait to see him rock again. 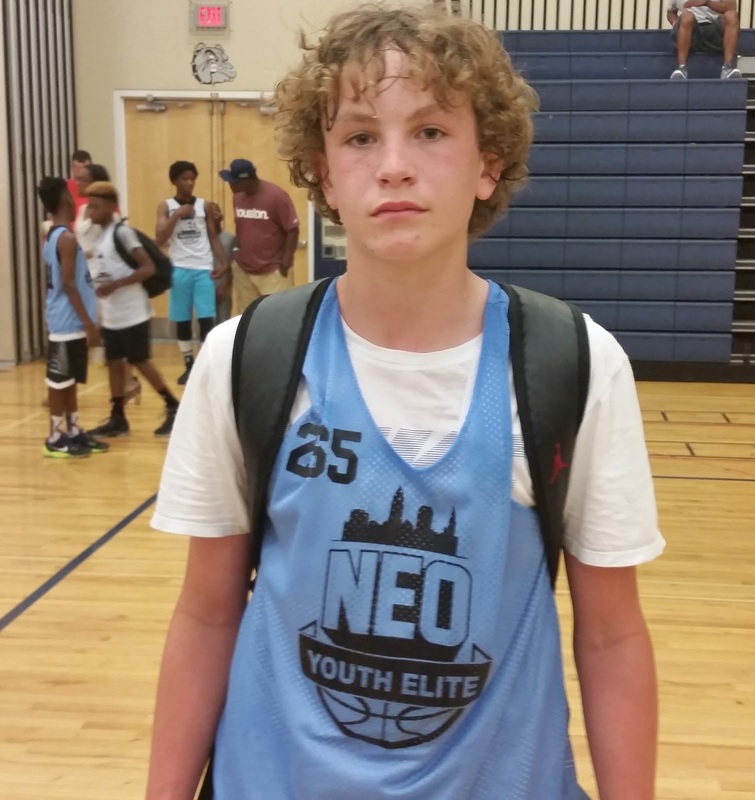 The 8th Grade Division of the Memorial Day Classic had some of the top talent in the region. Here’s part 1 of our report from Neptune. Posh Alexander Guard (NY Lightning)- Alexander was a demon in transition. He converted easy buckets and played above the rim on a couple of breakaways. His explosiveness is something to watch and he has some of the best body control I’ve seen in a while. This kid definitely leaves it all on the floor. 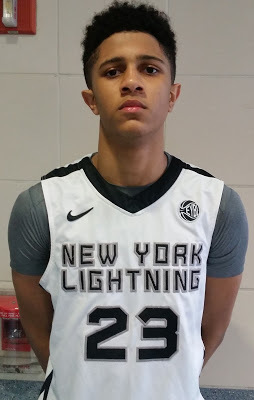 Quran McPherson Guard (NY Lightning)- When Alexander wasn’t scoring McPherson did his thing. The lanky wing is a natural scorer the flourishes in the open floor. In the half court he will launch it from trey land or finish in traffic. He averaged close to 20 points a game and also had an argument for MVP. 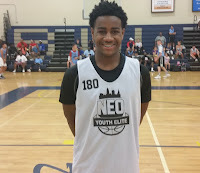 Amir Spears Guard (NY Lightning)- Spears is turning himself into a good point guard. While others were getting buckets Spears decided to be the setup man. I like how he has relished in his role which has helped the NY Lightning succeed. Trey Hall Forward (NY Lightning)- Hall wasn’t spectacular but still had a solid weekend. He hit the boards hard and was able to get a few buckets. He didn’t force the issue but instead let his teammates shine which shows maturity. He continues to be a match up problem. 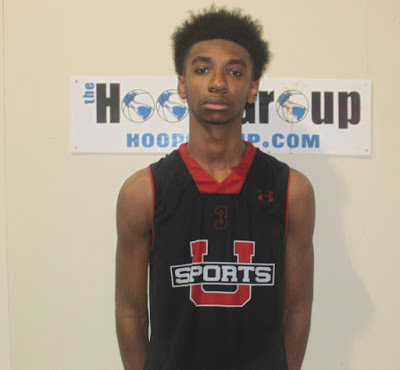 EJ Evans Guard (Team Final)- Evans has a quick trigger and is capable of scoring from all three levels. I like his driving skills and he has the frame to absorb contact. I would like to see him work on driving left a little more which will make the defense more honest. 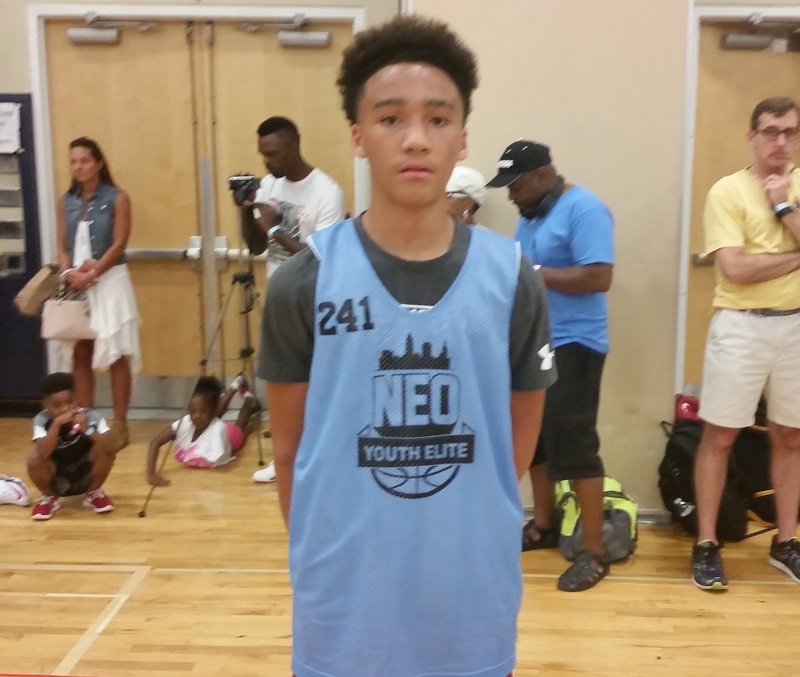 Noah Collier Forward (Team Final)- Collier impressed with his length and face up game. I like his touch from the mid-range area including the free throw area. He’s fluid when running the floor and seems to be developing decent post moves. He has the chance to be a top notch prospect. 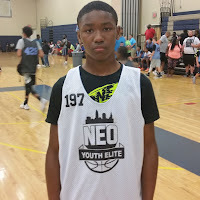 Lynn Grier Jr. Guard (Team Final)- I like how Grier is making the transition to point guard. He’s showing the ability to see the floor and set up teammates. He has explosive moves and a sharp handle. Don’t get me wrong he did still score the rock when he had to and his squad needed it.